" We had to draw a line " Kleistwahr is Gary Mundy and Gary has been extremely busy as of late. What began as a side project to Ramleh in the mid-eighties has assumed a fully fledged existence of its own. 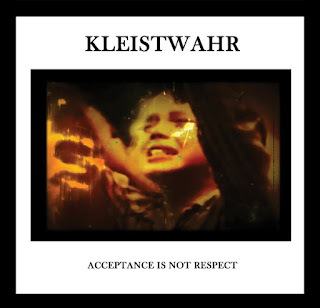 There has been a slew of Kleistwahr albums over the last few years all released by Fourth Dimension records. Every album lovingly reproducing the aesthetically striking imagery that Broken Flag records were renowned for. Musically Kleistwahr explores differing territory than Gary Mundy does in Ramleh. 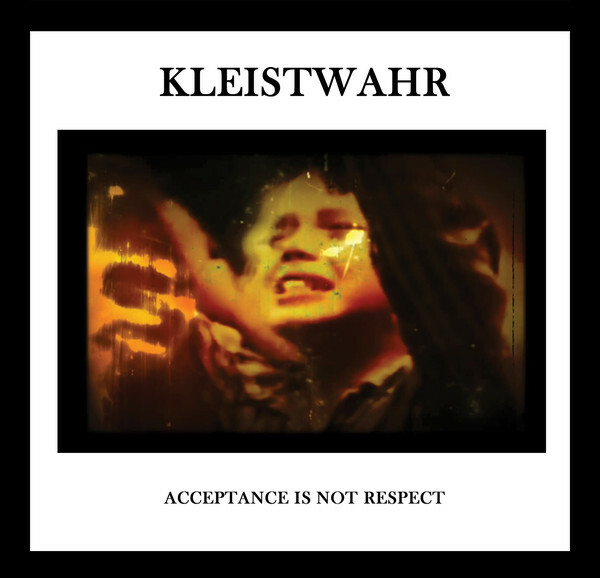 Kleistwahr feels a lot more personal than Ramleh. 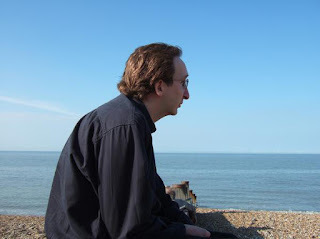 A focused introspection rather than the explosive reaction of Ramleh. Acceptance is not respect is an album cloaked in regret, of disillusionment, sadness, and shattered dreams. There is a sense of melancholy and despair that hangs over the whole album. However, there is also a glimmer of redemption, rebirth, and beauty that flickers across the darkness like light cascading across the surface of a vast subterranean lake. The album is split into two parts, the first entitled " Revolution of defiance ". It's a lengthy piece of work that builds up slowly utilizing guitar and processed sounds swollen by a huge organ that sounds as if it's chords are emanating from a desolate cavernous church. The vocals are a disembodied howl of anguish that echoes through the rising crescendo of sound before the whole edifice begins to fall In upon itself. The second part Three Martyrs again uses the same organ sound as the bedrock but this time rather than pure melancholic introspection there is a multitude of emotional and sonic expression. Ranging from transcendence, brutality, and resurrection. The Stoning section is a frenzied assault of feedback and jarring audio overload. Perhaps the closest the album comes to the genre of power electronics. In fact, this album is very difficult to pigeonhole as it sounds as if Gary Mundy has taken both the rock and noise sides of Ramleh and taken a massive sidestep into unknown waters. There comes a point in all our lives. A point of utter clarity. Where our past finally catches up with us and we can feel it's tangible form towering behind our shoulders. A huge tidal wave of regret, sadness, and realization that what we have done in our past is what shaped us and guided us to the precipice we are now balanced upon. It's at this moment that you have two choices. Turn to face your past and hope it doesn't crush you beneath its weight or to take a step into the void. Let go and fall from that precipice that you were balanced precariously upon. This album is the sound of that step into the void and the inevitable descent downwards.